The Saturday night, open line, all-request "Biggest Party on the Planet," Open House Party, will sound different in 2017. The show's creator and host for three decades, John Garabedian, has announced that he will leave the show early next year. John Garabedian built the show at a Boston radio station in the late 1980s. It didn't take long for the show to grow into an internationally syndicated program that, for thirty years, has seen all of America's biggest stars visit Garabedian's home studio, nestled in his basement, that welcomes an in-studio audience every weekend. Garabedian recently released a book entitled The Harmony of Parts, both a backstory on Garabedian's life before the party and all the crazy experiences that hosting the world's biggest party introduced, as well as an inspirational guide to identifying one's personal goals and then not being afraid to go after them "with gusto" as Garabedian puts it.  Listen to John Garabedian chat with Josh Strickland on Thursday morning, December 15th, beginning at 7:15, exclusively on 97.5 NOW FM...Lansing's #1 Hit Music Station! See more photos of John Garabedian, including one of the first photos of Milli Vanilli, when they visited OHP in 1988, and Garabedian, an experienced pilot, with some of his airplanes. See video of Shawn Mendes performing "Life of the Party" live at Open House Party!